Astronomers are on the hunt for proof of the multiverse. Now, scientists might be one step closer. A study recently submitted to “Monthly Notices of the Royal Astronomical Society” actually places the multiverse theory on firmer ground. Ruari Mackenzie, a graduate student at England’s University of Durham, took a deeper look at a region in the sky that’s so frigid and so large that most scientists don’t think it can be a statistical fluke. Instead, some astronomers think this so-called “cold spot” is an optical illusion produced by a lack of intervening galaxies. But Mackenzie and his colleagues found that those galaxies are no less dense than anywhere else in the universe, disproving that theory. Believe it or not, the next reasonable explanation (so long as you don’t buy into the theory that it’s just a statistical fluke) is that the cold spot might be a bruise left after an ancient collision with another universe. There’s no proof — at least not yet. But a forthcoming map of the cold spot might let scientists nail down whether it is truly a footprint of another universe — a result that would turn our understanding of the universe on its head. Peer as far out in space and as far back in time as you can and you’ll reach the cosmic microwave background (CMB) — the ancient light that formed just 370,000 years after the Big Bang. Given its age, it’s no surprise that the light might hold secrets about the universe’s fiery birth and answer fundamental questions about where we came from. For this reason, astronomers have long sought to capture this afterglow. For years, they have perfected a map speckled with blue and red dots that signify temperature (and therefore density) variations within the CMB where galaxies or giant voids of nearly empty space would one day form. Typically these dots represent only minute changes in temperature — except for one. In 2004, astronomers using NASA’s WMAP satellite discovered a cold spot nestled in the constellation Eridanus, which appears to be nearly 100 times cooler than your typical cool dots. It’s also huge, stretching 1,000 times farther than the Milky Way galaxy. The so-called cold spot, circled below, has attracted attention as possibly being too large and too cold to be easily explained. But this isn’t just an observational outlier. Models predict that the cosmos should be uniform across such vast scales. They also predict that just one in 50 universes will produce such a frigid region naturally — a likelihood some astronomers think is too small for comfort. Instead, many astronomers thought the cold spot might be an optical illusion produced by something in the foreground. Light from the CMB has been traveling for nearly 13.8 billion years through dense regions of galaxy clusters and voids of nearly empty space. These conditions alter its light thanks to a trick of gravity. Just think about launching a rocket from Earth. Gravity pulls on the rocket, slowing it down. 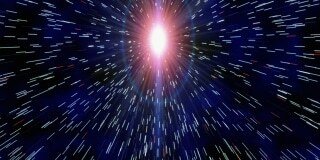 Light leaving Earth experiences the same pull, but because it can only travel at the speed of light, it loses energy by stretching in wavelength. This makes the light appear redder and therefore colder. So while a foreground galaxy cluster might make the CMB’s light appear bluer, a foreground void might make it appear redder and colder. But is there a massive void in front of the infamous cold spot? In 2015, István Szapudi and his colleagues at the University of Hawaii thought they found one. And it was spectacular, spanning 1.8 billion light-years across. But when astronomers couldn’t verify the results, controversy ensued. So Mackenzie and his colleagues obtained data from the Anglo-Australian Telescope in New South Wales, which allowed them to gather data on the distances and locations of more than 7,000 galaxies. Related: Will This 'Impossible Motor' Take Us to Other Planets? The two observations helped them create a three-dimensional map of galaxies within the potential void. But the map didn’t reveal anything too strange. There was a small void perhaps, but nothing that could explain the cold spot. “That kills, in one stroke, the void hypothesis,” says Tom Shanks at the University of Durham. For many, the multiverse conjures images of worlds where dinosaurs continue to roam, Nazis won World War II, and your evil twin is wreaking havoc somewhere. And yet, the multiverse isn’t just an accepted theory in modern physics, it’s almost unavoidable. Take the theory of inflation as an example, which says that in the first split second following the Big Bang, the early universe ballooned outward to be at least a million billion billion times larger than it was. Although the theory is beloved by cosmologists (it fixes several problems with the Big Bang story), it comes with a caveat: Most theories of inflation predict eternal inflation. That means that not only did our universe balloon outward, but an infinite number of other universes did, too. Recent estimates suggest the Big Bang occurred about 12 billion years ago, although the figure is uncertain. Ivan Baldry, an astronomer at Liverpool John Moores University in England, who was not involved in the study, says the multiverse is like Occam’s razor, that philosophical idea that the simplest explanation is often the correct one. “We have a huge variety of galaxies and a huge variety of solar systems — it makes sense to have a huge variety of universes,” he says. That isn’t as crazy as it sounds. “I think when you use the phrase parallel universe, people imagine some sort of portal into the underworld or some other dimension,” says Matthew Kleban, an astronomer at New York University. Instead, he likes to think of a multiverse as a series of islands. Take Hawaii, as an example. From Maui, you might not be able to see any other islands beyond the horizon. In fact, you might not even know they exist until an exotic tree — one that clearly doesn’t grow on your island — happens to land on your beach one day. Evidence of a nearby universe would be no different than stumbling upon that tree. Or it might be more accurate to think of the multiverse as bubbles forming in a glass of champagne. 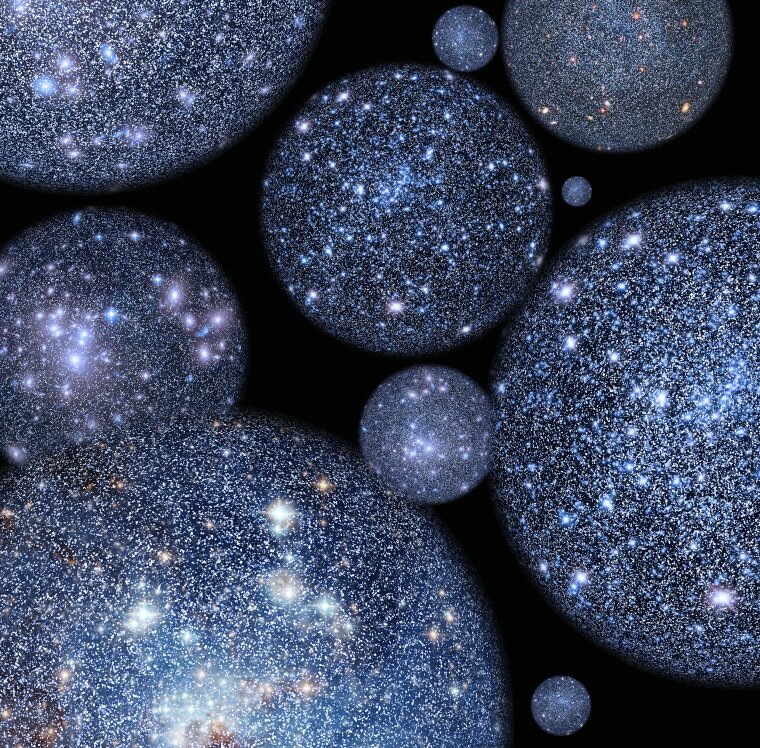 Our universe is just one of those tiny bubbles. The story starts to sound like science fiction when you ponder what would happen if two universes bumped into each another. After all, bubbles in a glass of bubbly collide all the time. It’s also true that if enough universes popped into existence, some might form close enough to collide with our own — leaving a temperature bruise on the cosmic microwave background that astronomers might be able to detect. Such a collision would send a pulse of energy propagating across the universe like the wake from a ship, says Kleban, who has created detailed predictions of the collision’s effect. “If you had something like one of these cosmic wakes, which is a kind of ripple that cuts across the universe at that time, you'll see a particular pattern in the sky,” he says. 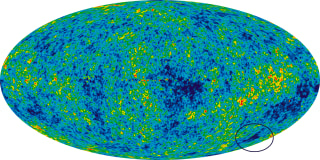 And because the CMB is a relic leftover from the early universe, that pattern imprinted on the CMB should look something like the unexplained cold spot. "When you use the phrase parallel universe, people imagine some sort of portal into the underworld or some other dimension." That evidence might come soon. Astronomers are currently pulling together a map of the CMB that would also reveal light that’s polarized, or aligned, like light reflected off a lake. Kleban suspects that the microwaves will reflect off one of these cosmic wakes in a similar manner, thus revealing further evidence of a past cosmic collision.